For use with the TU-15 Kastar diesel compression tester. 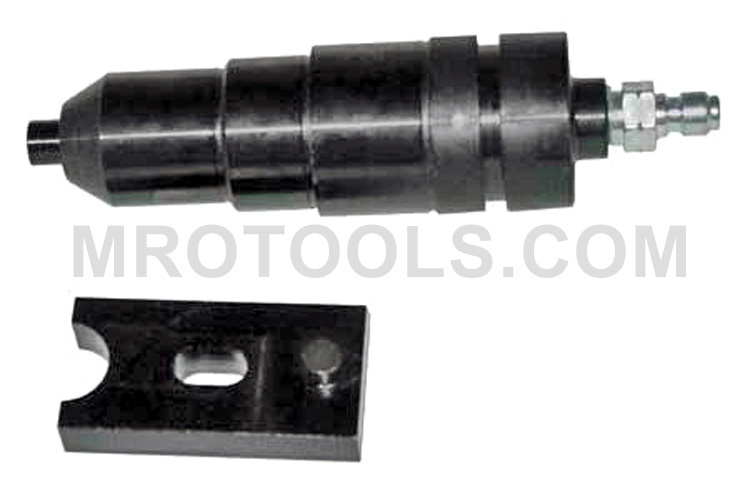 Kastar Diesel Compression Test Adapter for Caterpillar 3116 is an adapter for Caterpillar 3116 engines. The TU-15-42 Kastar Diesel Compression Test Adapter For Caterpillar 3116 is one of thousands of quality tooling products available from MRO Tools. Please browse Kastar Diesel Compression Testing Adapters for tools similar to the TU-15-42 Kastar Diesel Compression Test Adapter For Caterpillar 3116. TU-15-42 Kastar Diesel Compression Test Adapter For Caterpillar 3116 description summary: Kastar Diesel Compression Test Adapter for Caterpillar 3116. Use with Diesel Compression Tester TU-15. Adapter for Caterpillar 3116 engines. Quantity discounts may be available for the TU-15-42 Kastar Diesel Compression Test Adapter For Caterpillar 3116. Please contact MRO Tools for details.